At a time when there is increasing concern about the escalation of child and adolescent mental health problems, Time-limited Psychodynamic Psychotherapy with Children and Adolescents provides an innovative contextual model that engages the child or young person and their parents. The core of the model is the recognition of the dynamic capacity for growth in the child and how this, in itself, creates opportunities for effective treatment over a relatively short period of time. Based on evidence that the most enduring therapeutic outcomes involve a shift in the parents’ relational understanding of themselves, as well as a change in the child, the book uses case examples to show how this model can be applied in everyday therapeutic practice. 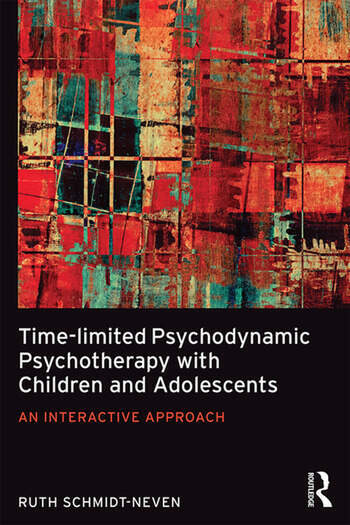 Time-limited Psychodynamic Psychotherapy with Children and Adolescents is aimed at practitioners in the field of child, adolescent, parent and family psychotherapy. It will interest psychologists, child psychotherapists, doctors, psychiatrists, social workers and mental health workers. Ruth Schmidt Neven, PhD is a child psychotherapist, clinical psychologist, educator and researcher. She trained at the Tavistock Clinic in London and over four decades has brought a pioneering approach to clinical work with children and young people, emphasising the essential nature of the meaning of behaviour.